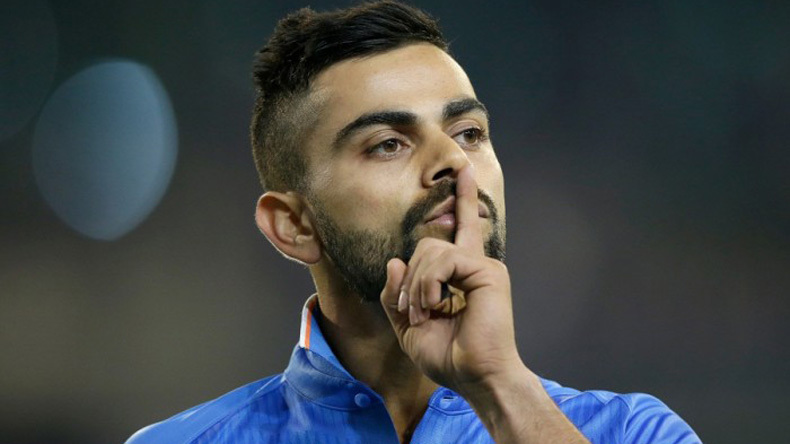 Swashbuckling Indian batsman Virat Kohli became subject to a fresh controversy on Tuesday when he suggested that Indian cricket fans who like foreign batsmen more than the domestic ones should go and live in foreign countries. The controversial comments from the Indian cricket captain came while he was reading tweets and Instagram messages, and simultaneously responding to them in a video. In an unusual off-field action, Virat Kohli was unstoppable yet again in the video available on his newly released app. The 30-year-old was reading the messages criticising him and calling Indian cricketers overrated while there were some messages where users highly admired Australian and English batsmen over their Indian counterparts. The Delhi-born cricketer is in the form of his life and is touted to take Australia by storm when India commences the Tour Down Under from November 21. He is in sublime form this calendar year having netted more than 1,000 runs in both Test and ODI cricket. He also crossed the 10,000-run mark this year and surpassed legendary Sachin Tendulkar becoming the fastest batsman in the history of the sport to do so.